The Teros by Joyetech is an ultra stealthy device with a refillable pod. Tiny in size, the Teros is a fantastic option for both beginners and advanced vapers looking for a portable vape. 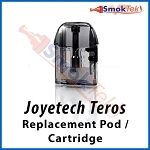 To begin using the Teros, first fill the pod with your preferred e-liquid by gently pulling out the silicone stopper covering the side-fill port. Please note that only the indented bottom part of the stopper should be removed - do not attempt to remove the entire silicone stopper. Please do not over-fill the cartridge - about 80% full is ideal. Once full, insert the silicone stopper back into the pod and ensure it is securely sealed to avoid leaking. 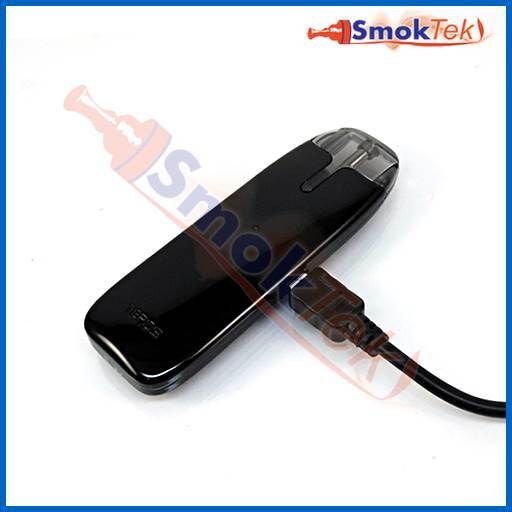 Set the pod aside for a few minutes to allow the cartridge to become fully saturated. This step helps minimize the chances of "dry burning" the coil inside whenever vaping on a new/unused cartridge.